You must make reservations at least 5 minutes in advance of the time at Tabla. Now open on Sundays starting August 24th, 2014. 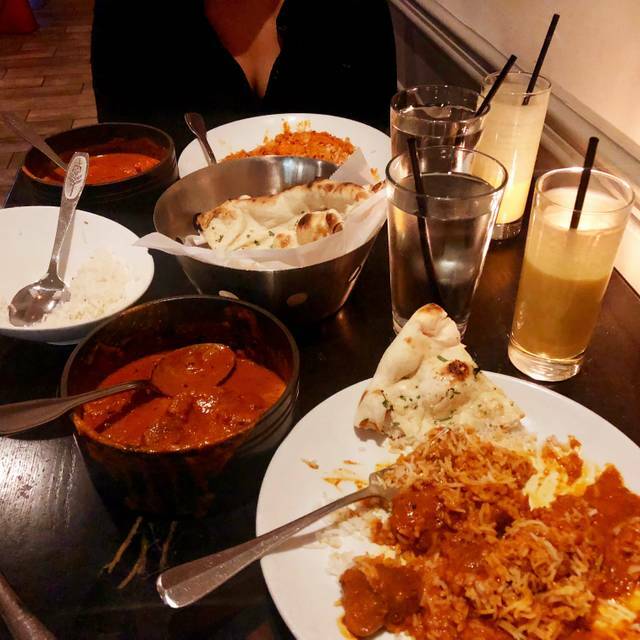 Tabla Indian restaurant, where tradtional meets contemporary! The restaurant boasts a contemporary ambiance mixed in with traditional cuisine. Our worldly trained Chef's bring experience, knowledge and creativity to your dining experience at Tabla. Tabla's menu is full of flavors that can entice any palate. 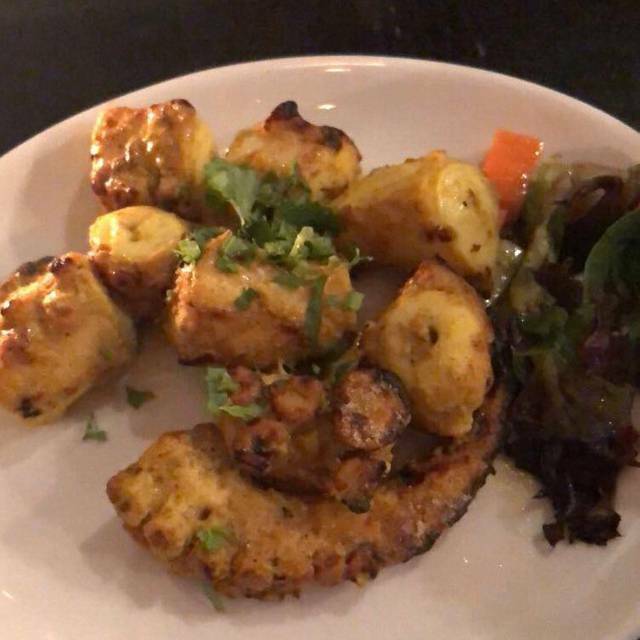 Some popular dishes include : Kurkuri Bhindi (fried okra), Coconut Crab Masala, Tandoori Shrimp, Basil Mahi Mahi, Chicken Tikka Masala, Saag Paneer, Paneer Pasanda & Roomali Roti. The ambiance, from the sultry & chic lounge to the serene dining hall, will make this a dining experience you wont forget. 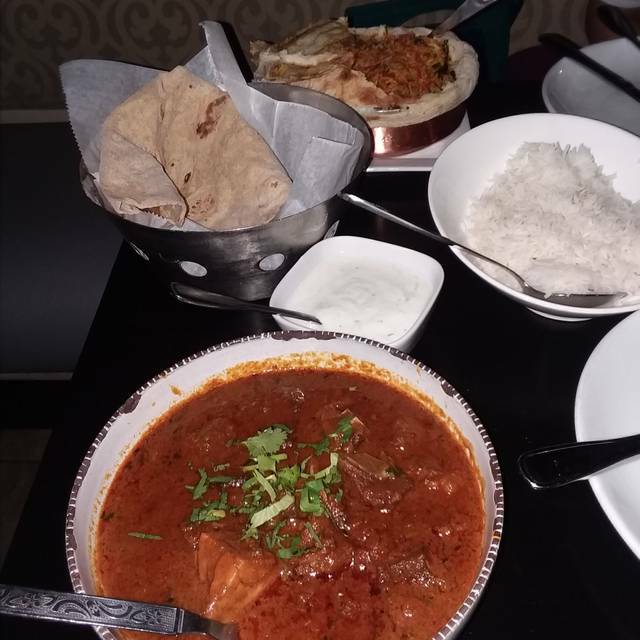 Very popular restaurant with good food, reasonable pricing and a glassed in kitchen at the back where chefs are finishing the naans etc. Vibrant bar with TVs as you enter. Outdoor seating available on the street side. Our reservation was for four, we tend to eat on the earlier side, which was great because it filled up as the evening went on. Service is always great, and the food is always great! I could fill up a tub of that tikka masala sauce!!! Nom nom. Only complaint that the table had was the menu was a bit tough to read (font and bold face change recommended). What a great restaurant! The service was attentive, the food beyond expectations, and the outdoor seating was quite relaxing. 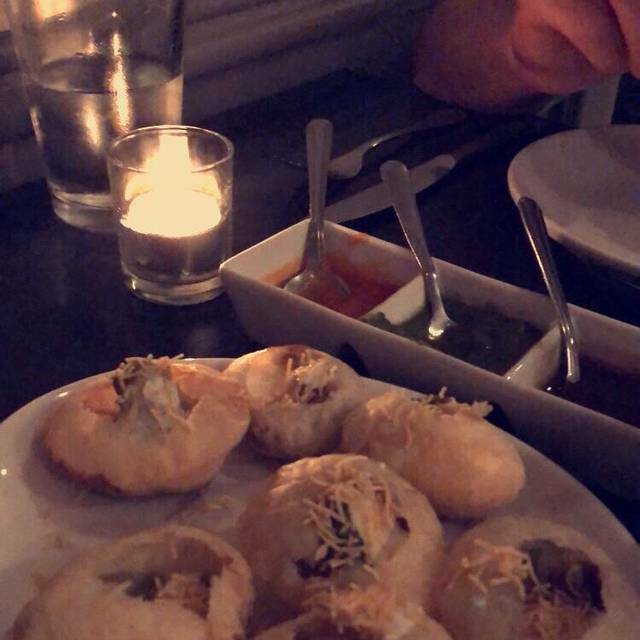 Tabla is one of my favorite Indian Restaurants ! We love the variety on the menu! The service was amazing as well, Shoi, suggested beverages and new food items on menu. The service and the food quality are outstanding. Indoors is a little loud for conversation, but on a nice day the outside patio is perfect. I have beaten at many, many Indian restaurants all over North America and Europe. One of the very best. Unique sauces and flavors. Totally satisfying experience. 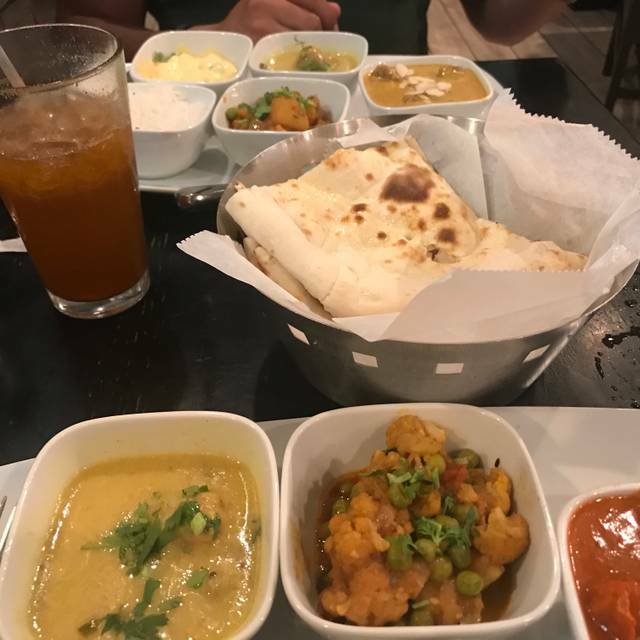 The best Indian food in Midtown. I love the elegant atmosphere. Absolutely delicious. Great atmosphere. We had the cauliflower, spinach and okra apps and they were fabulous. Ordered takeout of veggie kofta, aloo gobi and eggplant and enjoyed them the next day. Great quality food with just the right amount of heat. Best Indian food in Atlanta. ate at bar. attentive, personalized service by knowledgable bartender. Great food, central location... but make a reservation, it's not a secret. Me and my boyfriend took my parents here for dinner. It was delicious as always. Tabla is a great place. OpenTable however did not update my reservation so we had to wait 45 minutes upon arriving as they thought we had cancelled. 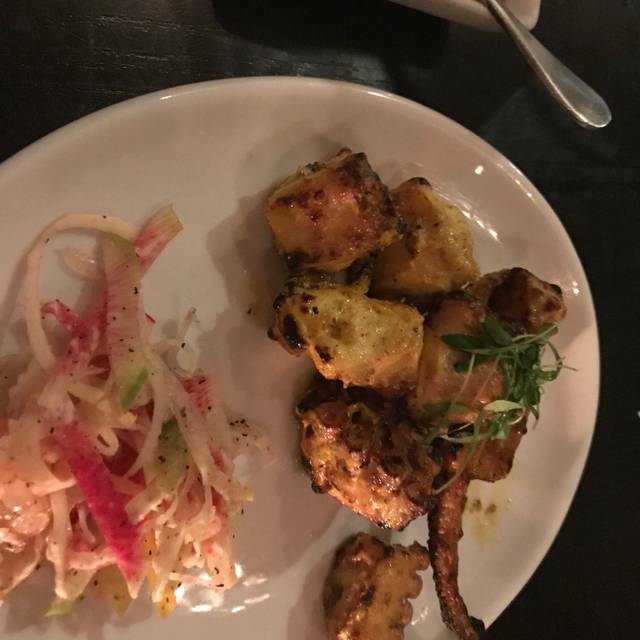 What a wonderful surprise... my wife and I drove over an hour to try Tabla at a friend’s recommendation... we were not disappointed. We are still talking about the food as well as our overall experience.... excellent in every way! We will be going back... well worth the drive!! Butter chicken is amazing! Literally to die for. I come to Atlanta often for work and i ALWAYS go to Tabla when i'm in town - and dream about it when i'm not there! My 1st visit and it did not disappoint. Our server was wonderful, very knowledgeable and made great suggestions. Will for certain visit again. I say I would recommend but will need to go back one more time to double check that. In the past, the food portions have been more generous and the food always comes out hot and fresh. This past meal, the entree portion was a 'snack size' at best and most of the dish was just sauce. Very little chicken and the chicken that was there was tough - Paneer Pasanda. The Lassoni Cauliflower was cold when it arrived at the table. 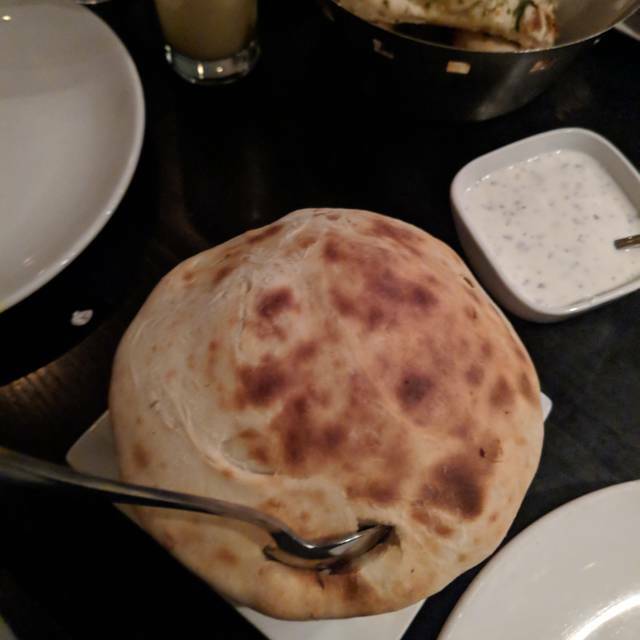 As always, the Naan was delicious and addictive. We asked for ice for our water - it never came. Hopefully this was all a one time thing. The ambiance is always nice the service amazing and the food, impeccable! For my family was a great experience. We enjoyed the food and the people. Everything was great. 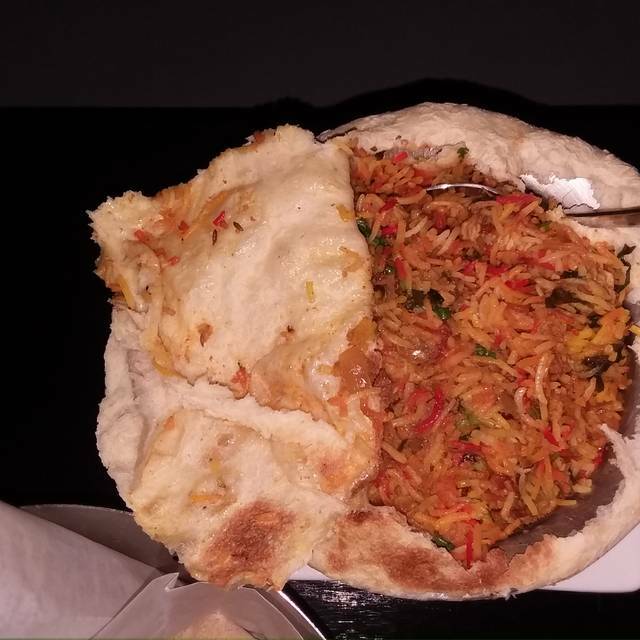 Best biryani I've had anywhere. Terrific atmosphere. Great service. I will eat here everytime I am in town. One bartender and 30 min wait for drinks on a Monday. Ridiculous. Great food in a hip atmosphere. Thank goodness we had a reservation. The food was impeccable as usual. Our dining service was made even better with Kush who had great recommendations. The bartender also made the yummiest drinks! Can’t wait to go back. Great food, service and atmosphere!! Will definitely be back. The service was the worst service I have EVER had. The server had our drink orders wrong, and on top of that he only checked on us twice. The food was delicious, but the experience ruined it for us. I will rate this olace as below average . Food is good but service csn be improved . Love when I visit a new restaurant and the waiter has the confidence to guide you thru the entire meal creating a great experience. Nirab suggested favorites and adopted to our likes and dislikes and the end result was a superb dinner. Served raw chicken without apology.... we also told the server a food allergy, a dish was then served with the ingredient sprinkled on top. That dish was sent back, but it appeared that only the allergen was removed from the top instead of making a new dish. Absolutely disgusting restaurant. In my opinion the best place for authentic Indian cuisine in Atlanta. 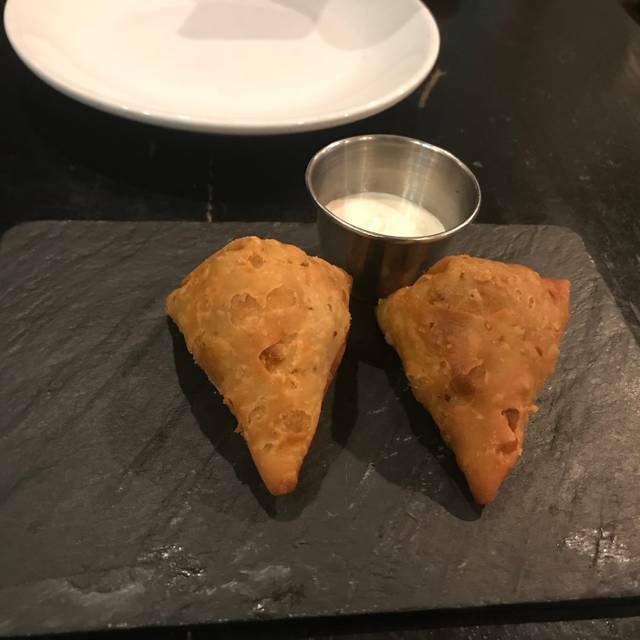 The food items in the menu have a unique twist from the usual Indian joint. And really good. Very appropriate for a formal Indian cuisine meal. Service has always been very attentive and excellent. Food was excellent! Service was not, initially, very good but they compensated for it to my satisfaction.